If you would like to attempt a repair yourself, you can purchase the U310 screen assembly only from us here. We have created an instructional video to guide you through the disassembly (also called a teardown) process: Teardown Tutorial Video. 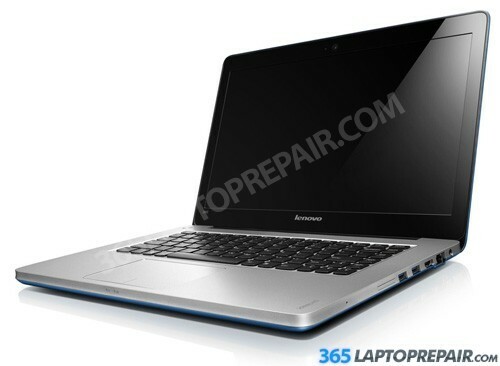 Are you ready to start you repair and get your IdeaPad U310 fixed fast? Click the add to cart button below to begin the checkout process, we accept credit cards and PayPal. We offer many shipping options to and from our warehouse. 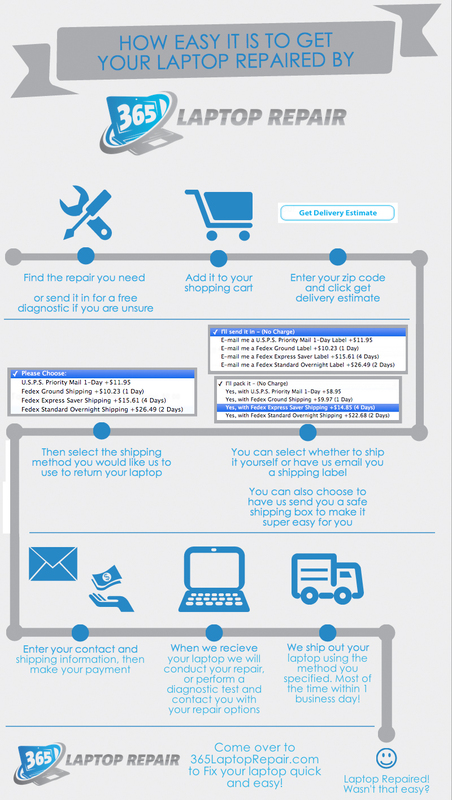 You can pack your laptop and ship it to us yourself, or we can send you a pre-paid shipping label and a safe ship box to ship your laptop quickly, easily and safely! If you have any questions about our repair service please contact us through our Laptop Repair Estimate Page or our Contact Us page. The screen replacement service that we provide for the Lenovo IdeaPad U310 includes the cost of a brand new LCD screen and the labor to install it. This service also comes with a No Dead Pixel Guarantee and a 6-month warranty on parts and service. We use genuine new LCDs, not aftermarket or cloned products. This laptop has a LCD and digitizer glued to the back casing. In order to fix a cracked screen we replace the entire screen assembly. This repair will also fix a broken back cover or hinges. This laptop has a 500GB 5400RPM hard drive.